to the Ithaca, NY community. Business Is Blooming has been inspiring the area with our beautiful blooms since 2001, when we were named the New Business of the Year by the Tompkins County Chamber of Commerce. We are a Sustainably focused floral design studio creating unique and artistic designs that showcase locally and regionally grown blooms. 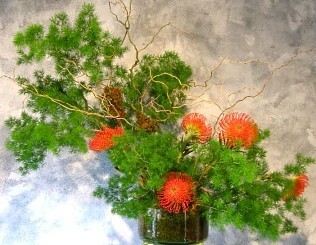 Gorgeous flowers combined with unusual botanicals. Artistic designs that are nature-inspired and earth friendly. Personal service to create the perfect fit for your gift-giving occasion or event. We help create environments where people flourish. 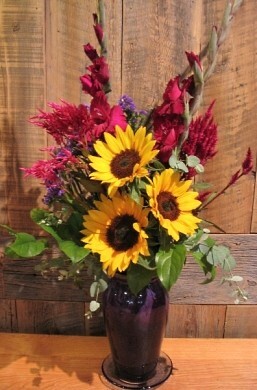 Our signature Fresh Flower Service and Season of Flowers. 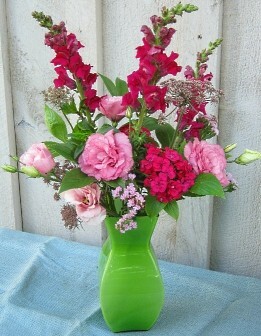 Subscriptions to scheduled deliveries of fresh seasonal flowers to business locations or homes. Floral decor for Special Events and Weddings. Set up an appointment to meet at our studio or our designers are available for on-site consultations. Eye-catching Gift Arrangements for any occasion. Call or visit us today… we look forward to meeting you! Thanks for visiting our website for flowers delivered fresh from a local Ithaca, NY florist and easy online ordering available 24/7.